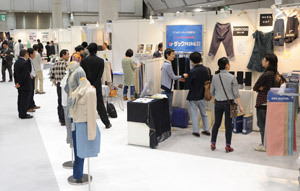 Since globalisation and overseas strategy are keys to future business, the Japanese apparel market remains one of the largest and most attractive of its kind. Apparel manufacturing based on highly refined sense and quality would not have been easy without Japanese fabrics created with high quality and added value in the long history. Regarding domestic production, however, the hollowing-out phenomenon continues, and Japan is dependent on imports for most of its supplies, facing the severe reality of an accelerating decline in domestic textile producing regions. Material procurement in the domestic market is thus limited, hence the increased demand for business opportunities with leading overseas textile makers. 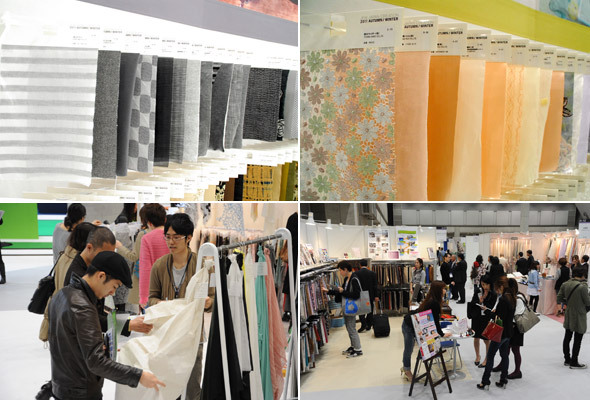 With the above in mind, we will start recruiting overseas exhibitors with high technical expertise, aiming to ensure the continued supply of Japanese apparel made with high creativity, sensibility, and quality. Mature Japanese markets require not only stable quality but continuous originality while apparel makers constantly seek business partners. This textile business negotiation salon will provide a business-matching platform targeting the convergence of domestic and overseas top buyers and suppliers. Be part of this high quality show and extend your business opportunities ! Aoyama is a fashion centre of Tokyo, where branded shops, hip cafes/restaurants, and refined shops all converge, as well as being home to numerous offices of designers' maisons. · To have a clear indication of the price/quality (batch) / delivery time of the products and possess an organised sales system. · To be capable of planning and presenting newly-developed products on a continuous basis. Please be informed that we may be unable to accept your application, even before the above deadline, due to the exhibition size (comprising approx. 100 companies).